As the Dzhokhar Tsarnaev trial pauses for the Marathon and the attack anniversary (and, ostensibly, to give the defense time to line up their witnesses), some competing sides have aired their views about the story not being told at the trial. An odd piece from BoGlo’s Kevin Cullen quotes a cop asking why the FBI Agents who interviewed Tamerlan Tsarnaev in 2011 did not recognize him from surveillance videos. “Who were the FBI agents who interviewed Tamerlan Tsarnaev after the Russians raised questions about him two years before the bombings, and why didn’t they recognize Tamerlan from the photos the FBI released?” he asked. That’s actually a great question. But then Cullen goes onto make some assertions that — if true — should themselves elicit questions, questions he doesn’t ask. He marvels at the video analysis after the event, but doesn’t mention that the FBI claims the facial recognition software it has spent decades developing didn’t work to identify the brothers. He lauds the FBI for finding Dzhokhar’s backpack in a dumpster, but far overstates the value of the evidence found inside (remember, among other things found on a thumb drive in it was a rental application for Tamerlan’s wife). Cullen also overstates the FBI’s evidence that the bombs were made in Tamerlan’s Cambridge apartment, and so sees that as a question about why Tamerlan’s wife, Katherine, wasn’t charged (forgetting, I guess, that she was routinely gone from the apartment 70 hours a week), rather than a question about all the holes in FBI’s pressure cooker story: Why did Tamerlan pay cash for pressure cookers — as FBI suggests he did — all while carrying a mobile GPS device that he brought with him when trying to make his escape? Where did the other two pressure cookers (the third pressure cooker used as a bomb, and the one found at the apartment) come from? Masha Gessen — who just wrote a book about the case that I have not yet read — asks some of the same questions in a NYT op-ed in a piece that also highlights the government’s flawed claims about radicalization at the core of this case. Even worse, two critical questions have not been answered. Where were the bombs built? Investigators have testified that they were not built at the older brother’s apartment or in the younger brother’s dorm room. Were they built in someone else’s apartment, house or garage? If so, who, and was he a knowing accomplice? Did he help in any other way? The other big question is: Why did the F.B.I. fail to identify Tamerlan Tsarnaev, the older brother, who had been fingered as a potential terrorist risk two years before the bombing and interviewed by field agents? Within 24 hours of the bombing, on April 15, 2013, investigators focused on images of the brothers in surveillance tapes recovered from the scene. Yet they had no names — and more than two days later they released the photos to the public, asking for help with identifying the suspects. How is it possible that someone who had been interviewed by a member of the local Joint Terrorism Task Force could not be identified from the pictures? Note, I think Gessen overstates how strongly the government has said the bombs weren’t made at the Cambridge apartment, but it is consistent with the evidence presented that they weren’t. Compare these decent questions with Janet Napolitano’s take — not so much on the trial, but on Gessen’s book. Before I get into the key graph of her review, consider Napolitano’s role here. Her agency — especially Customs and Border Patrol — came in for some criticism in the Joint IG Report on the attack, because they may not have alerted the FBI to Tamerlan Tsarnaev’s travel to and from Russia in 2012, because they treated Tamerlan as a low priority and therefore didn’t question him on his border crossings (the trial record may indicate Tamerlan had Inspire on his computer when he traveled to Russia), and because the CBP record on Tamerlan went into a less visible status while he was out of the country, meaning he evaded secondary inspection on the way back into the country as well. Yet she mentions none of those crucial details about DHS’s role in missing Tamerlan’s travel and increasing extremism in her review. Rather, she describes her agency as a valiant part of the combined effort to hunt down the attackers. As secretary of homeland security, I immediately mobilized the department to assist Boston emergency responders and to work with the F.B.I. to identify the perpetrators. Because the Boston Marathon is an iconic American event, we suspected terrorism, but no group stepped forward to claim credit. Massive law enforcement resources — local, state and federal — had to be organized and deployed so that, within just a few days, we had narrowed the inquiry from the thousands of spectators who had come to cheer on the runners to two, who had come to plant bombs. In the course of armchair quarterbacking that followed the bombing, it was revealed that the Russian Federal Security Service, known as the F.S.B., had notified the F.B.I. in 2011 about Tamerlan’s presence in the United States. 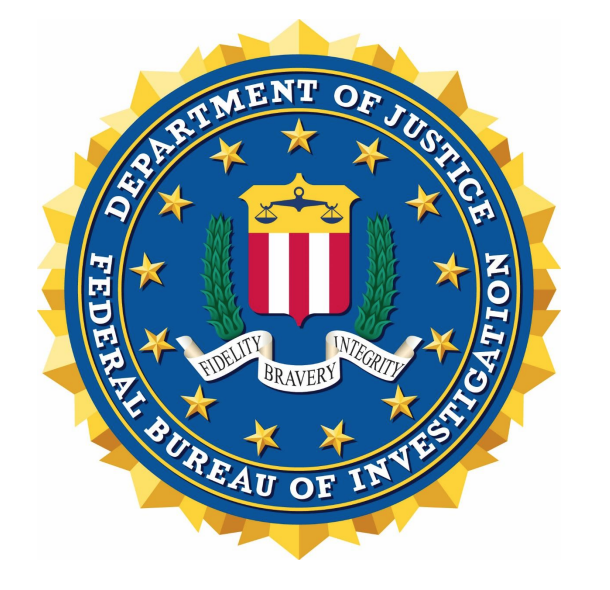 Although criticized for inadequate follow-up, the F.B.I. actually interviewed Tamerlan and other household members at least three times in 2011. Further requests to the F.S.B. for details went unanswered. Other than putting Tamerlan under 24-hour surveillance, it is difficult to ascertain what more the F.B.I. could have done — according to Gessen, Russia routinely presumes all young urban Muslim men to be radical. Much of the rest of Napolitano’s review focuses on the government’s theory of radicalization and the Tsarnaev family’s collective failure to achieve the American Dream (which, I guess, is what Gessen was debunking in her op-ed the next day), returning the story insistently to one about radicalization. Except then, having emphasized how many times the FBI had contact with Tamerlan in 2011, she scoffs at the questions that might raise and Gessen’s reliance on evidence the government itself has introduced into the public record. In the final chapters, however, the book becomes curiouser and curiouser; Gessen seems to become a conspiracy theorist. She postulates that the F.B.I. recruited Tamerlan as an informant during their visits to the Tsarnaev home in 2011. She then surmises that Tamerlan went rogue and participated in the killing of three friends with whom he dealt marijuana. She goes further, and suggests that after the bombings, the F.B.I. delayed telling Boston law enforcement about Tamerlan’s identity because they wanted to reach him first, kill him and hide his presence as an informant. Gessen likens this alleged behavior to the F.B.I.’s use of sting operations, and she implies that the bureau has been entrapping defendants as opposed to finding real terrorists. And, finally, relying on the words of “several” unnamed explosives experts, she asserts that the Tsarnaevs must have had help constructing the bombs, despite the presence of explicit instructions on the Internet and in Inspire, a jihadist magazine. How is Gessen a conspiracy theorist because she “surmises that Tamerlan … participated” in the 2011 Waltham killings? That claim came from the FBI itself! The FBI says Ibragim Todashev was confessing to that fact when they killed him. And how is suggesting the bombs used at the Marathon (as distinct from those thrown in Watertown) could not have come directly from Inspire be a conspiracy theory when that is the testimony the defense elicited from FBI’s own bomb expert on cross examination? Effectively, Janet Napolitano, whose agency rightly or wrongly received some of the criticism for failing to prevent this attack, completely ignores the questions about prevention and then dismisses questions that arise out of the government’s failure to prevent the attack as a conspiracy theory. Napolitano’s choice to write (and NYT’s choice to publish) a critical review of a book pointing out problems with the narrative of the attack she herself has been pitching actually got me thinking: Imagine Robert Mueller writing such a review? Had he done so, the inappropriateness of it, the absurdity of deeming claims made by the FBI a conspiracy theory, and his own agency’s role in failing to prevent the attack would have been heightened. Not to mention, he likely would have had a hard time dismissing the real questions about the provenance of the bombs, given that his former agency claims not to know the answers to them. And that made me realize that having Napolitano write this review worked similarly to the way the prosecution’s parade of witnesses who hadn’t done the primary analysis on the evidence in the case did. It gave official voice to the chosen narrative, without ever exposing those who might be able to answer the still outstanding questions to question. For what it’s worth, I have a few more questions about the attack that — like Cullen and Gessen — I regret will likely go unanswered. Or rather, perhaps another theory about the government’s implausible claim not to have IDed the brothers until they got DNA from Tamerlan on April 19th. As I mentioned, no one wants to talk about why facial recognition didn’t work which — if true — ought to have led to congressional hearings and the defunding of the technology. The FBI wants you to believe that they couldn’t ID a guy they had had in a terrorist watchlist and extended immigration records on and Congress wants you to believe that would be acceptable performance for an expensive surveillance system. I’ve also tracked the government’s odd use of GPS data in the trial. They used cell tower information based off the brothers’ known handsets (which they only got in smashed condition days later) to track their movement at the race. They used a series of GPS devices to track the purchases of the materials used in the attack and to track the brothers in the stolen Mercedes (though their claims about how they tracked the Mercedes still don’t add up). There’s something missing from this story, and I increasingly wonder whether it’s the use of a Stingray or similar device, which we know even local authorities use in the case of public events like protests or sporting events, which might have been able to pinpoint calls made between phones using the same “cell” at the race, and with it, pinpoint the phones we know were registered under the brothers’ real names. So here’s my conspiracy theory, Janet Napolitano: Not only do I think claims Tamerlan was an informant ought to be at least assessed seriously (though I also think the Russians clearly are not telling us what they believed him to be, either), which might be one explanation for FBI’s dubious claims not to have IDed the brothers for over 3 days. But I also think the government pursued this case with an eye towards what intelligence they were willing to admit at trial — and we know they refuse to admit how sophisticated their use of Stingrays is, and we should assume they refuse to admit how well facial recognition technology works, either. That is, in addition to the other real questions and possible explanations for the delay, I think it possible that the FBI had to create a manhunt so as to hide the tools that IDed the brothers far earlier than they let on. Update: I meant to add that I think the timing of the recent Stingray releases to be curious. Basically, the dam holding back disclosures of the FBI’s secrecy on Stingrays burst on Wednesday, April 8, as the ACLU, Baltimore, and two other jurisdictions got Non-Disclosure Agreements on the same day, after the Tsarnaev case had gone to the jury. That’s as conveniently timed, it seems, as the April 3 release of the After Action report, which Massachusetts had held since December. Also remember that the government doesn’t have to disclose PRTT data to defendants unless it uses that evidence at trial (and has suggested it has PRTT data on other terrorist defendants that it doesn’t have to turn over). So if they did use a Stingray to ID the brothers at all, they would claim they didn’t have to disclose it, but wouldn’t want to make the capability too obvious until after the defense lost any opportunity to make a constitutional claim. I want to do a quick post about details defense attorney Timothy Watkins snuck into today’s testimony at the Dzhokhar Tsarnaev trial. FBI Supervisory Special Agent Edward Knapp testified at length about how he investigated the bombs used in the attacks. At the end of direct, the government had him show how closely the bombs — both the elbow pipe bombs used at Watertown and the pressure cooker bombs — resembled bomb instructions included in Inspire Magazine. The effort was, as so much of this trial has been, a carefully scripted effort to tell a narrative that probably doesn’t reflect the full truth of how the brothers got or made the bombs using what propaganda. Judge George O’Toole had, earlier in the trial, prevented the defense from entering evidence about the Russian bomb making materials on Tamerlan’s hard drive. Knapp focused on the bombs that most closely resembled Inspire bombs (focusing on the elbow pipe bomb, for example, and not the straight one also used in Watertown). He didn’t get into really big detail about the trigger used for the bombs used at the race. Knapp even focused on a green Christmas light in one of the bombs to show it was just like the green Christmas light in the Inspire recipe. Ultimately, it was about how the bombs could have been made from the recipes in Inspire magazine. Watkins: Inspire Magazine doesn’t mention RC cars as a bomb component, does it? Knapp: I don’t think so. In the midst of an objection, Watkins sneaks in question…did u know Tamerlan searched internet for RC car info? Objection, sustained. That, by itself is notable: once again, the government’s pat narrative is almost certainly not a description of what actually happened. But the detail also raised questions about why Tamerlan’s searches for what ultimately were bomb parts were not found by the FBI or NSA. 1) These were searches for toy parts, not bomb parts. While FBI might now trigger on remote controllers, they probably didn’t then, even if they had a dragnet. FBI appears to keep expanding its dragnets as terrorists use certain tools. 2) While FBI should have done a back door search on Tamerlan when they did the assessment of him in 2011, nothing we know of would have triggered a new assessment in the interim, even if they did dragnet on remote controllers which I doubt. 3) I do strongly suspect that NSA had picked up the brothers’ downloads of Inspire, which I suspect is triggered to the encryption codes included in the magazine and not to any key word content of the magazines or even the URL. If I’m right (and that’s just a guess), then the NSA would have had data on the brothers. In fact, we know the NSA did have data on one or both of the brothers that didn’t get read until after the attack. If it was Inspire, I think they probably didn’t attract attention because they weren’t 2-degrees of someone interesting or hadn’t been found in one of the more targeted chat rooms. 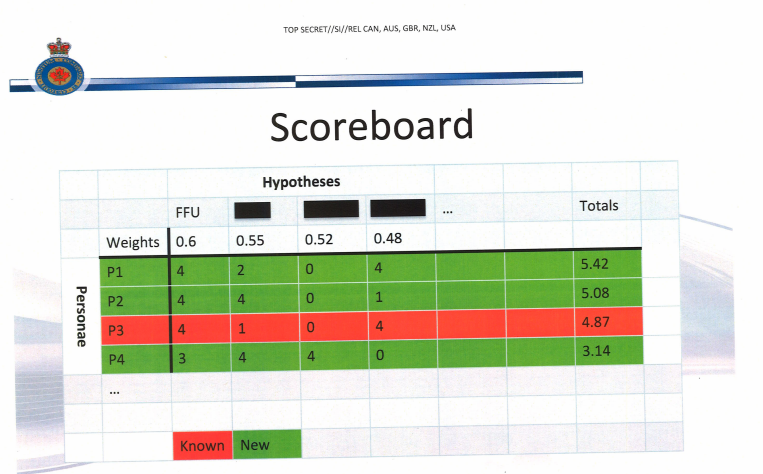 It would also mean that FBI didn’t then share Tamerlan’s identifiers they identified during their 2011 assessment of him with NSA for future mapping (I don’t necessarily think they should, but if they had, then NSA might have paid more attention to whatever data they did have on the brothers, potentially eliciting a second look once they collected it). Also remember, the brother may not even have been downloading Inspire until after the FBI stopped investigating Tamerlan. 4) While XKeyscore certainly has the ability to do searches on “remote car controllers” it’s not clear that would pull off content collected in the US, so it would only show up if the server Tamerlan went to was overseas; they were probably local and Amazon. Who knows? Maybe now FBI has also started an Amazon dragnet on remote controllers. 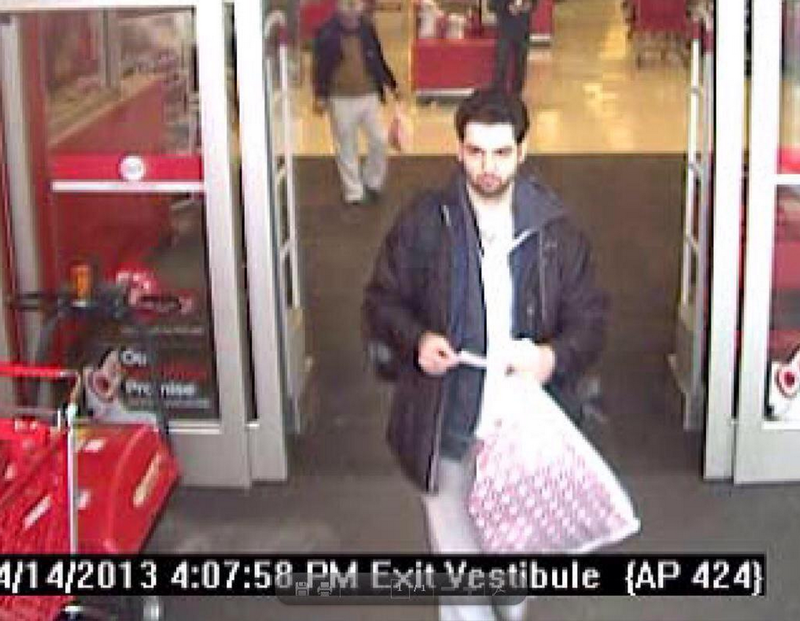 But again, you’d need something else to trigger interest in Tamerlan’s identifier doing the search. 5) I suspect that what Watkins was referring to came from a subpoena to Tamerlan’s ISP for all his web searches. So that they had the searches are themselves unsurprising. Update: Here’s the shipping bill for some of the remote control supplies he bought, from a site called NitroRCX which appears to be in the metro Los Angeles area. I believe the other one was from Amazon. Because I harp endlessly about the need to defeat pizza joints in the NSA’s contact chaining, which might affect the process’ utility for the Tsarnaev brothers, both of whom worked at pizza joints who had weird ties to another pizza joint, I wanted to point to this piece describing the deportation proceedings of Mustafa Ozseferoglu. Ozseferoglu came to the US from Turkey illegally in 2000 when he was 16, across the Mexican border. He was married to an American and has a son born in this country, Osman, whose health concerns Ozseferoglu has cited in his bid to stay in the country. Ozseferoglu was interviewed by the FBI in July 2013 and then arrested on immigration charges in September 2013 (at the same time the FBI was going after a bunch of other immigrants with ties to the Tsarnaevs). Ozseferoglu met Tamerlan through his father, but then worked with him briefly in 2009, during which point they exchanged some number of phone calls — for work purposes, according to Ozseferoglu. Ozseferoglu came to Anzor for repairs regularly. When Anzor asked him why his cars were so rundown, he told him that he delivers pizza for Boston Pizza Express. Pretty soon after that, Tamerlan applied for the job too. Boston Pizza Express, has since gone out of business, but in 2009 it was located at 1026 Commonwealth Avenue, near Boston University. Ozseferoglu and Tamerlan worked together for between three weeks and three months, a rough estimate that was scrutinized heavily by the prosecution. In Ozseferoglu’s immigration hearing, the number of phone calls between him and Tamerlan during this period of time were called into question. 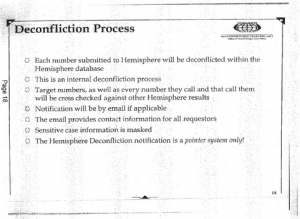 Kelly says the two contacted each other about 100 times. 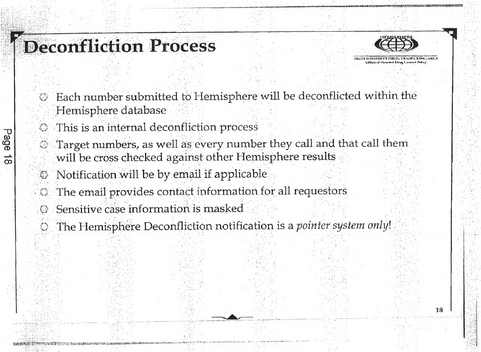 Ozseferoglu says these calls weren’t illicit, or even personal. The two, he says, were just coordinating pizza deliveries. “When we’re going on delivery, we take some of the deliveries and we call the other driver,” he explains. In Salon, I point out something funny about the report released on Tuesday to mark the 10 year anniversary of the release of the 9/11 Commission report. The report says we must fight the “creeping tide of complacency.” But then it says the government has done almost everything the 9/11 Commission said it should do. Meanwhile, the commissioners appear unconcerned about complacency with climate change or economic decline. If the government has done a good job of implementing the 9/11 Commission recommendations but the terror threat is an order of magnitude worse now, as the report claims, then those recommendations were not sufficient to addressing the problem. Or perhaps the 13 top security officials whom the Commission interviewed did a slew of other things — like destabilizing Syria and Libya — that have undermined the apparatus of counterterrorism recommended by the original 9/11 Commission? Which is a polite way of saying the 10-year report is unsatisfying on many fronts, opting for fear-mongering than another measured assessment about what we need to do to protect against terrorism. Perhaps that’s because, rather than conduct the public hearings with middle-level experts, as it boasted it had done in the original report, it instead privately interviewed just the people who’ve been in charge for the last 10 years, all of whom have a stake in fear and budgets and several of whom now have a stake in profiting off fear-mongering? Suffice it to say I’m unimpressed with the report. Which brings me to this really odd detail about it. The report takes a squishy approach to Edward Snowden’s leaks. It condemns his and Chelsea Manning’s leaks and suggests they may hinder information sharing. 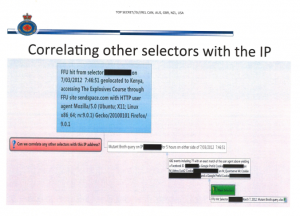 It also suggests Snowden’s leaks may be impeding recruiting for cybersecurity positions. But it also acknowledges that Snowden’s leaks have been important to raising concerns about civil liberties — resulting in President Obama’s decision to impose limits on the Section 215 phone dragnet. Since 2004, when we issued the report, the public has become markedly more engaged in the debate over the balance between civil liberties and national security. In the mid-2000s, news reports about the National Security Agency’s surveillance programs caused only a slight public stir. That changed with last year’s leaks by Edward Snowden, an NSA contractor who stole 1.7 million pages of classified material. Documents taken by Snowden and given to the media revealed NSA data collection far more widespread than had been popularly understood. Some reports exaggerated the scale of the programs. While the government explained that the NSA’s programs were overseen by Congress and the courts, the scale of the data collection has alarmed the public. [I]n March, the President announced plans to replace the NSA telephone metadata program with a more limited program of specific court-approved searches of call records held by private carriers. This remains a matter of contention with some intelligence professionals, who expressed to us a fear that these restrictions might hinder U.S. counterterrorism efforts in urgent situations where speedy investigation is critical. Having just raised the phone dragnet changes, the report goes on to argue “these programs” — which in context would include the phone dragnet — should be preserved. We believe these programs are worth preserving, albeit with additional oversight. Every current or former senior official with whom we spoke told us that the terrorist and cyber threats to the United States are more dangerous today than they were a few years ago. And senior officials explained to us, in clear terms, what authorities they would need to address those threats. Their case is persuasive, and we encountered general agreement about what needs to be done. Senior leaders must now make this case to the public. The President must lead the government in an ongoing effort to explain to the American people—in specific terms, not generalities—why these programs are critical to the nation’s security. If the American people hear what we have heard in recent months, about the urgent threat and the ways in which data collection is used to counter it, we believe that they will be supportive. If these programs are as important as we believe they are, it is worth making the effort to build a more solid foundation in public opinion to ensure their preservation. This discussion directly introduces a bizarre rewriting of the original 9/11 Report. Given how often the government has falsely claimed that we need the phone dragnet because it closes a gap that let Khalid al-Midhar escape you’d think the 9/11 Commission might use this moment to reiterate the record, which shows that the government had the information it needed to discover the hijacker was in the US.